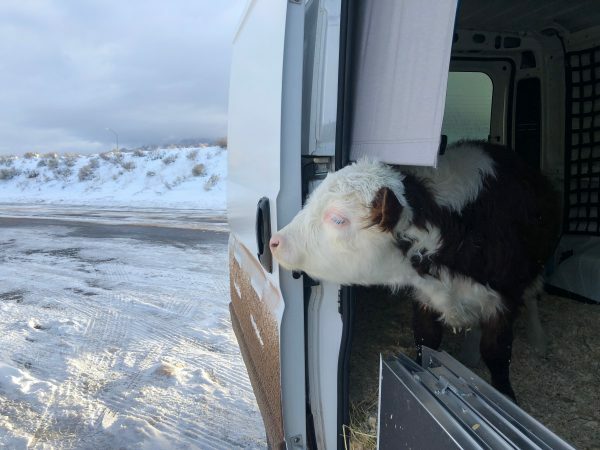 A man drove his pet cow more than 2,200 miles across the U.S. in an emergency road trip to try and save the animal’s sight. 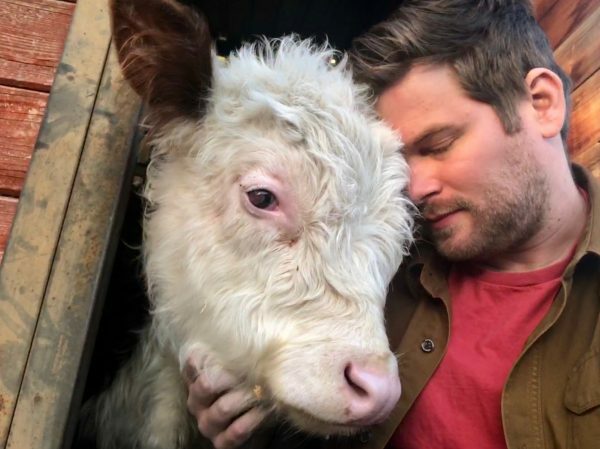 Dan McKernan, 28, rescued 6-month-old Hereford calf, named Mike, from a nearby farm in November 2017—but quickly noticed that there was something not right with Mike’s eyes. 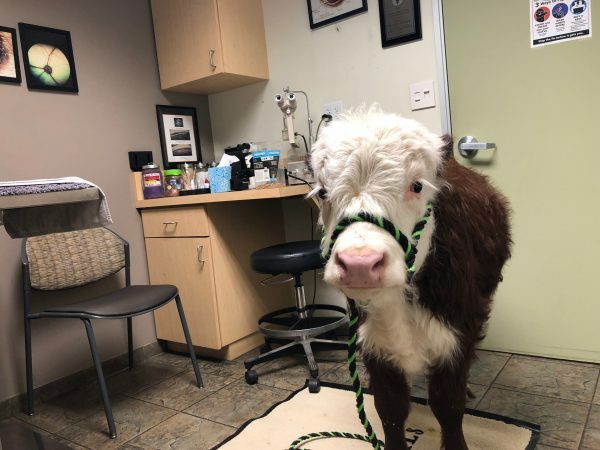 Keen to give the young calf the best chance at life, Mike took him to veterinarians at Michigan State University, who determined that he was blind in one eye and needed surgery on the other to treat a detached retina. 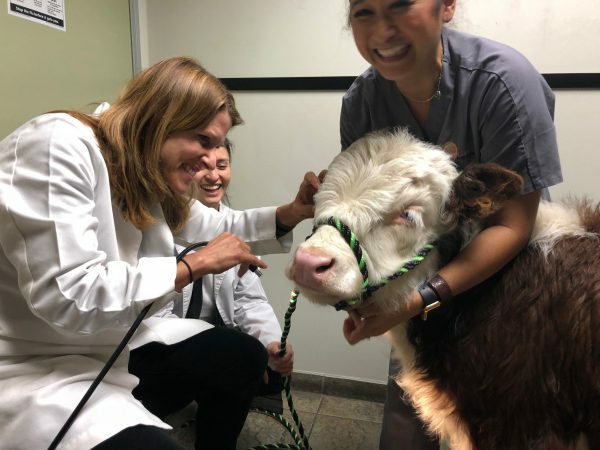 McKernan began to research veterinary ophthalmologists and discovered Dr. Allison Hoffman—a miracle worker who has saved the sight of hundreds of animals. The only problem was that her practice was in California, more than 2,200 miles away from McKernan’s home in Chelsea, Michigan. The former tech worker, who now runs Barn Animal Sanctuary, did not let the distance stop him. 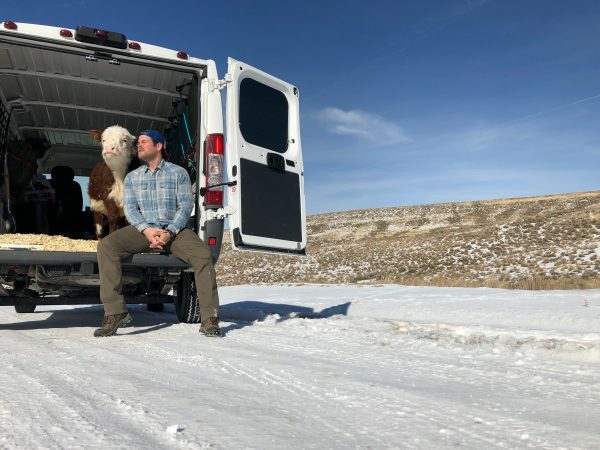 He decided to load up his van and drive his farm pal across the country to Pasadena. Although the surgery was unsuccessful, McKernan said the road trip was a wonderful experience. He said they visited Malibu and took photos at Mt. Rushmore on the way home. “I wanted to give Mike the best chance at saving his sight, just like I would if he was my pet dog or cat,” McKernan said. “I decided to take him to Pasadena to Dr. Hoffman’s surgery, she was such a sweetheart. Although it was unsuccessful I’m so glad we tried. “On the way we had a lot of funny looks when I would take him out of the van and at night it was interesting because I just bought a cot and slept in that for the three nights. “When I brought him to the beach in Malibu he loved it. People just flocked to us it was really nice, they were just interested. Although his sight couldn’t be saved, Mike is thriving at the sanctuary thanks to his new seeing-eye buddy Dan Jr., named after their rescuer. The friends are living life to the full at the sanctuary, which McKernan quit his corporate job to launch in 2016. “It was sad we couldn’t save Mike’s sight, but he really is thriving especially thanks to Dan Jr., a name which my friend gave him for fun. “I started this sanctuary with my dad in 2016 after I got bored sitting at a computer in my tech job day-in, day-out and it’s been super rewarding.